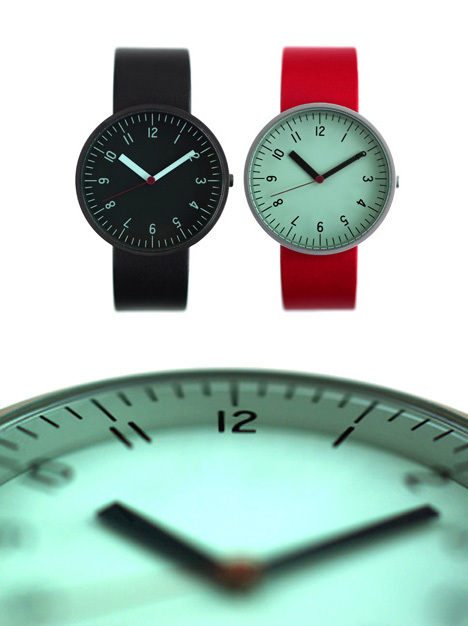 This simple and clean watch design comes from Industrial Facility. The numbers are placed on the glass of the watch, in a font borrowed from many rulers. 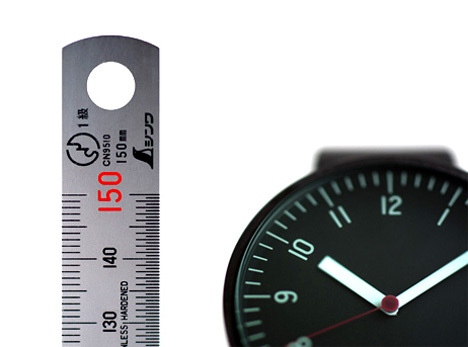 For many of us who work with measuring tools daily, the watch will instantly provoke a concept of precision and accuracy. i would like to find a shop online or a store which from i can buy and send to israel the black watch by seme hechat- mujy world watches. i looked all over the net and couldn’t find any solution. maybe you can help..
Are you muji watches available in US. If so where ? If not why not ? John.